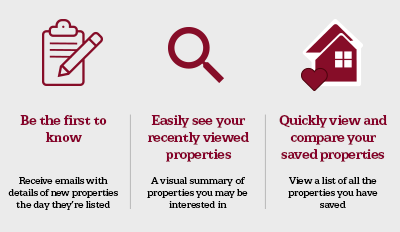 We tend to look at a more obvious sense when it comes to selling a property. What you see is what you get. That’s why we often spend a lot of time in getting our homes looking perfect prior to a viewing. There are plenty of estate agents, however, who believe that the smell of your home can also have an impact on how people react. Putting on the coffee or baking some fresh bread, may just make all the difference. The scent of lavender in a bedroom or the smell of fresh linen are obvious choice. They’re not overpowering yet they give that sense of health and wellbeing which makes us feel at one with the world. Equally influential, however, are bad smells. If the kitchen has the aroma of a recent fry up or old grease or your furniture has the definite whiff of dog, it might be more off putting than you think. The Express recently listed a whole host of different smells that could be costing you a sale, including rotting food in the fridge and a general odour of mustiness. Coffee: Freshly ground coffee permeates in a way that many other scents don’t. That’s why it’s considered a classic selling tactic. Many estate agents swear by it. Orange: There has been some research carried out in this area. A business school in California found that citrus scents boost buying behaviour. They changed the scent in a home décor store and found that orange raised purchases by a staggering 31%. Open fire: You don’t get these as much nowadays but, if you have a wood burner, it can fill your property with the welcoming aroma of the home hearth. There’s something rather primordial about this kind of smell and it’s one people universally seem to like. Fresh flowers: Another popular way to add some fragrance, of course, is to add fresh flowers to places like the hallway and the living room. Not only do they add colour, they should fill your home with a fresh but subtle aroma. Bread: No one quite knows why bread seems to be such a winner – perhaps its something from our childhoods or a time when we used to bake more. While it can be a good choice, it’s also a bit of a cliché and can, frankly, be more trouble than its worth, especially if you have a lot of viewings. Keep it simple, over complicated or competing scents can be distracting. Try not to introduce too many different aromas. Keep it natural. Most of the research seems to suggest that natural scents work better so avoid things like plug-in air fresheners. Keep it clean. Again, scents that evoke a sense of cleanliness tend to set us at ease. Ensuring areas like carpets and furniture are properly cleaned should be top of your list. A very popular aromatic solution are the oil diffusers, available in most supermarkets and a large variety of high street stores, these could be the perfect solution to creating scents that can help to sell your property.